Fotek Chennai, Coimbatore, Bangalore we are dealer, distributor, importer, supplier in India. Fotek India we deals with all kinds of products proximity sensor, photoelectric sensor, SSR, relays, light curtain, temperature controller, thyristor, power regulator, timers etc. Our major customers are presented in North & South India. We are covering the following cities like Fotek Chennai, Madurai, Fotek Coimbatore, Pondicherry, Fotek Bangalore, Hubli, Hyderabad, Vizag, Mumbai, Biwadi, Delhi, Delhi(NCR), Pune, Noida, Haryana, Faridabad, Ghaziabad, Gujarat, Baddi, Indore, Surat, Ahmedabad, Vadodara, Vapi, Maharashtra, Kolkata, Westbengal, Udaipur, Jaipur, Punjab, Silvassa, Ludhiana, Kashmir, Goa, Jharkhand, Odisha. 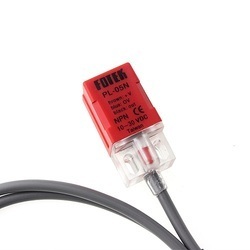 Our reputation in the market is largely attributable to our precision-designed Fotek Proximity Sensor from our extensive collection of products. This sensor is manufactured using excellent quality raw-material and advanced technology by skilled professionals. In order to ensure quality, provided sensor is stringently tested on different parameters by our experts. Apart from this, remarkable quality and sturdy structure increase the demand of our offered range in the market. Being a client-centric organization, we are engaged in offering a distinct collection of Fotek Photoelectric Sensor. Our vendor’s skilled professionals manufacture this sensor using well-tested raw-material and latest technology. In addition to this, our offered sensor is rigorously tested by our quality controllers against diverse parameters in order to deliver a flaw-free range at clients end. Moreover, the offered sensor is extensively appreciated by our clients for featuring variegated attributes like optimum quality and durability.